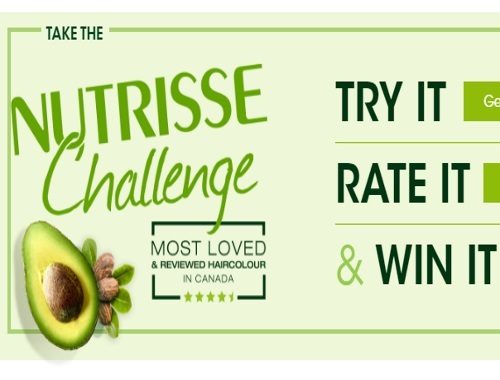 Garnier's Nutrisse Challenge is back! Try it, rate it and win it! Take the challenge for a shot at a Free box of Garnier Nutrisse hair colour! There will be 100 winners selected each month for the entire year! Click here for more info about this offer.